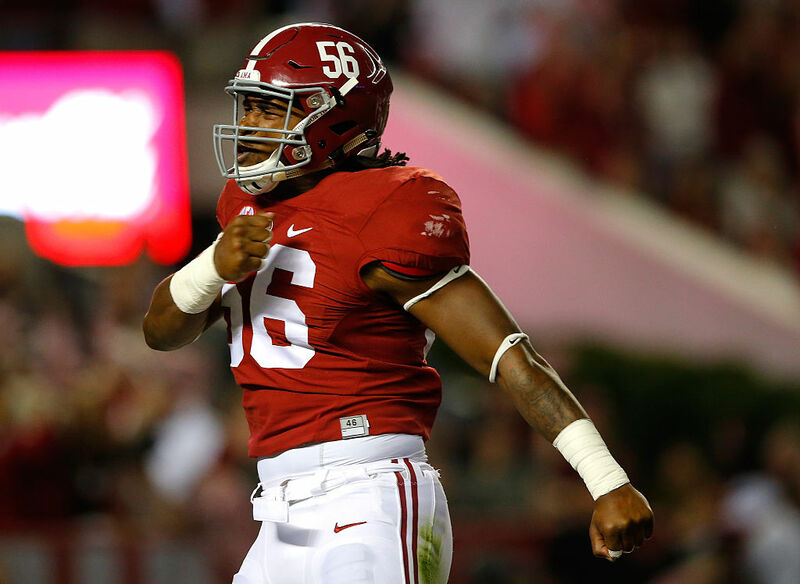 Alabama linebacker Tim Williams was arrested early on Thursday morning and “charged with carrying a pistol without a permit,” according to AL.com. The Alabama defensive star was arrested in a Publix parking lot in Tuscaloosa around 2 a.m.
Police were on normal patrol when “they smelled marijuana coming from Williams’ vehicle,” AL.com reports. Williams was accompanied by a passenger who claimed the marijuana was his, but police found a pistol under Williams’ seat during their search of the car. 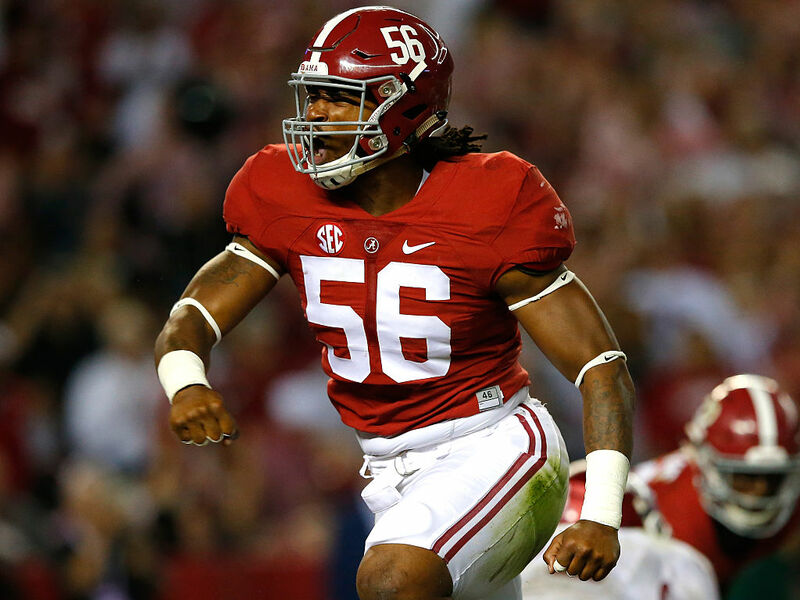 The Alabama linebacker is projected to be a first-round draft pick to the NFL by most expectations. He was one of the nation’s top pass rushers in the country as a junior last season, recording 10.5 sacks on a national championship season. If Williams misses time with the Crimson Tide, it could hurt the nation’s top-ranked team. The star linebacker has recorded six tackles, 1.5 sacks and a forced fumble in just four games this season. With any luck, Nick Saban and the tide will roll on without him.